This is yet another awesome product by Hankook Cosmetics! They have 4 brands under Hankook Cosmetics namely the most popular Ossion, Ekanava, Sansim and Flannche. Love the frosted glass container! White gel but turns clear when spread out! THE WHOLE BOTTLE CONTAINS LOTS OF GOLD FLAKES. But don't worry they don't stay onto your face! They actually dissolve as you rub it into your skin. Infact, I think this is really cool cos it's a luxurious ingredient and not like there's only 3 flakes in the whole bottle! There's a lot! This is a primer suitable for humid countries and will keep your makeup intact for a long time! I use it even when I don't use any makeup because it acts as a moisturizer too! It makes my skin super silky and holds powder particles better (which is awesome since SG's weather is really humid and we sweat easily). Some primers I've come across are sticky and doesn't dry easily like.. *cough* and this is totally awesome! It's also really hygienic that it comes with a pump, and usually one and half more pump would be sufficient for one use. Think of it in long term - benefit for your skin, cost effective and holds makeup! There's an awesome discount if you log in (on the right sidebar) with username and password "fennimisu"! It's 30% on top of the prevailing discount (internationally!) How much will you save when you log in with "fennimisu"? Also, like their Facebook page for more updates! Where can I buy this product? 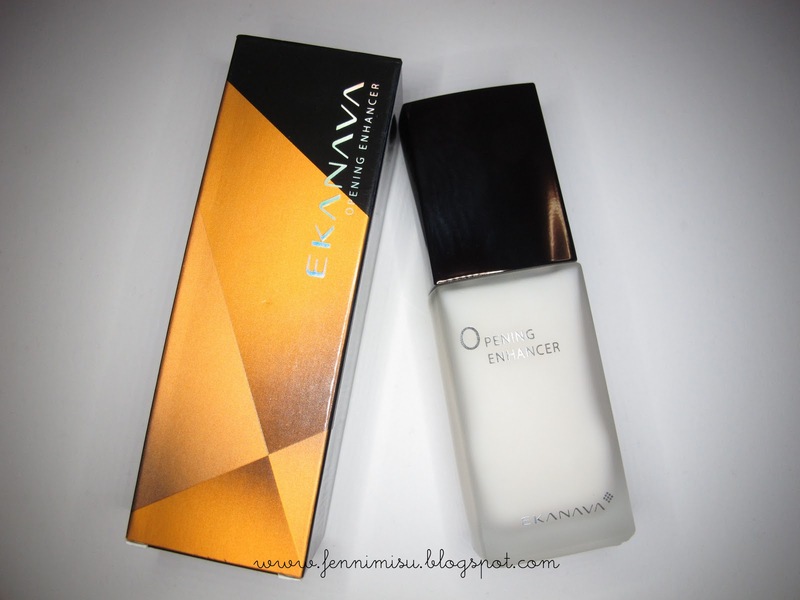 Any shop in Singapore selling Ekanava cosmetics?